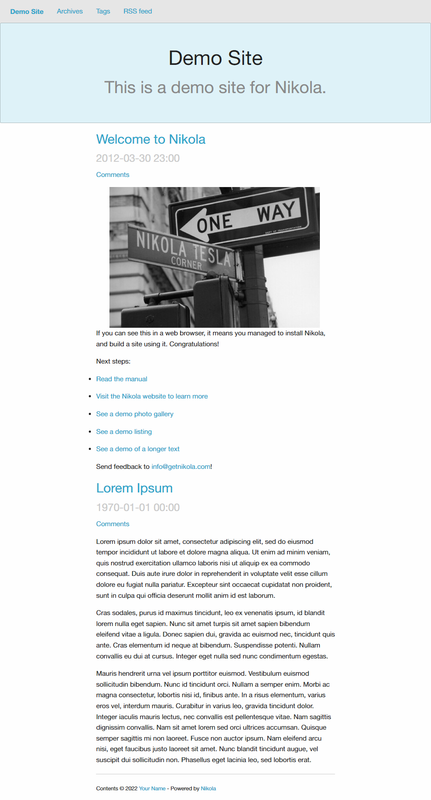 This is a theme for the static site generator Nikola using the Foundation framework. It aims to be simple, elegant and not bloat the overall size of your site too much. In your conf.py set THEME to foundation6. This theme uses a custom Foundation 6 with fewer components to slim the size of the site even more. If you want to replace this with your own custom Foundation 6 - i.e. with different colors - just replace the foundation.min.css in the assets. The Foundation framework is licensed under MIT. This theme is licensed under AGPLv3.